How to Fix Failure Configuring Windows Updates Reverting Changes? Have you ever encountered the issue failure configuring Windows updates reverting changes? This post will show you some solutions. Windows update often gives rise to various errors, such as data loss, Windows not boot after updating and so on. And the issue failure configuring Windows updates reverting changes always occurs when you are trying to install the Windows updates. However, do you know how to fix failure configuring Windows updates reverting changes? If no, don’t worry. This post will list several solutions to fix the problem failure configuring Windows updates loop. First of all, to fix this problem, you can disconnect the removable media from your computer such as the USB flash drive, memory card, removable disks and so on. When you haveunplugged all removable drives, please check whether the issue failure configuring Windows updates reverting changes is solved. 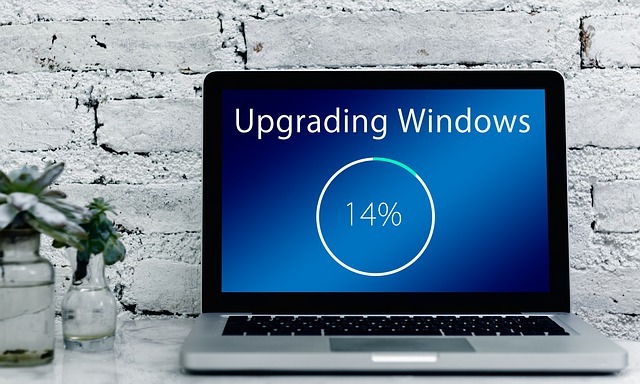 As for how to fix the problem failure configuring Windows updates reverting changes, you can try to install Windows updates in clean boot mode. Thus, open Run dialog, type msconfig, and open System Configuration window. Then uncheck the option Load startup items. Next, try to reboot your computer, reinstall Windows updates and try to check whether the issue failure configuring Windows updates reverting changes is solved. The third method to fix the problem failure configuring Windows updates reverting changes loop is to delete the Windows Update cache. In this way, the first step to b done is to stop the Windows Update service. Then the Background Intelligent Transfer service also needs to be stopped. When the above two steps are finished, please open the Windows File Explorer to navigate to the following path C:\Windows\SoftwareDistribution\Download and delete all files on the Download folder. After all steps are finished, you need to restart the Windows Update service and Background Intelligent Transfer service. At last, try to reinstall Windows updates and check whether the issue failure configuring Windows updates reverting changes is solved. At here, we will introduce the fourth method to fix the problem failure configuring Windows updates loop. Because this method is caused during installing Windows updates, you can take advantage of the Windows Update Troubleshooter to fix this issue. If Windows Update Troubleshooter is not available at your hand, you need to download one from the Microsoft. Then run this tool as an administrator and then it will detect problems. If it has found a problem, you need to click the button Apply this fix. An important thing you need to know is that this solution will take a long time and you need to wait patiently. When the whole process is finished, you can restart your computer to check whether the issue failure configuring Windows updates reverting changes is solved. There is an optional method for you to solve the problem failure configuring Windows updates loop. You can try to perform a system restore if you have created a system point in advance. This method would help you to revert the settings of the system operating to the previous state. Thus, you can open the System Properties window and choose System Restore to continue. Then you can choose one restore point to perform the system restore. When the process is completed, you can update Windows again and try to check whether the issue failure configuring Windows updates reverting changes is solved. What to Do before Updating Windows? As a matter of fact, Windows update always gives rise to some problems. So in order to keep the computer and data safe, you had better create a system image before performing an update. As to create a system image, there are two ways. One is to use the Windows snap-in tool and another one is to use the professional Windows backup software– MiniTool ShadowMaker. In conclusion, this post has listed five solutions to solve the issue failure configuring Windows updates reverting changes. If you have the same trouble, try to fix it with these methods. And in order to keep PC and files safe, it is recommended to create a system image before updating since Windows update always leads to some issues.